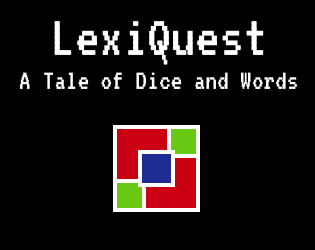 LexiQuest is a short text-based RPG. Descend through five levels of the dungeon underneath your town to retrieve the artifact that lies within, collecting gold, weapons, and snacks as you go! This game was made for #1GAM and #30daydev. UPDATE 1/30/16: Miscellaneous bugfixes, save resetting, and more bugs insects.